Our clients matter and what we use on them matters just as well. The scrubs and moisturizing cremes that we use on our clients are from our very own product line. 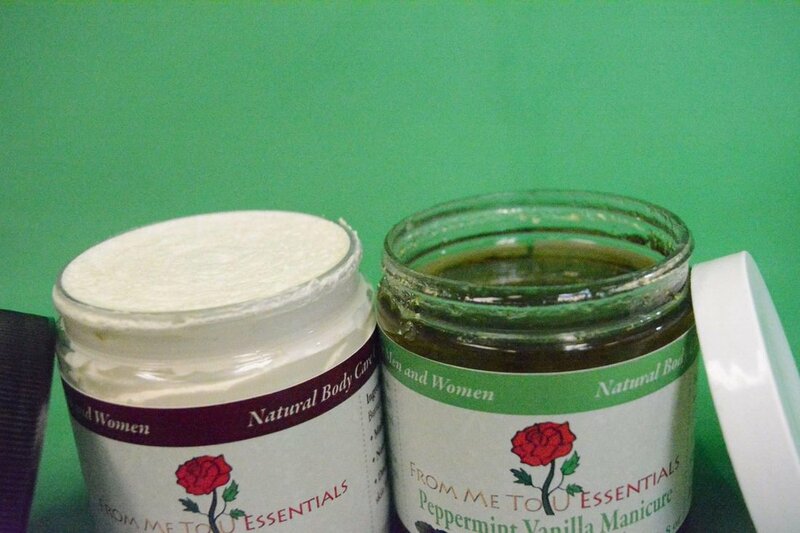 Our Whipped Shea Body Creme is very hydrating and moisturizing without an oily or greasy feel; and the Peppermint Vanilla Scrub helps to slough away dry skin through exfoliation. The Anti-Fungal Oil contains tea tree, clove and myrrh essential oils infused with a proprietary blend of other effective oils ideal for helping to manage the characteristics of Fingernail and Toenail fungus. The clients we service routinely have the pleasure of seeing for themselves how well our products work for them. We invite you to try them out as well! Place an order via email to: thetravelingpedicurist@gmail.com Or Call: 919-621-7027 for phone orders. FREE delivery for residents in the local Raleigh, NC area with a purchase order of $23.00 or more.